The favorable external environment has supported export expansion, however Turkmenistan’s economic growth eased slightly in 2018 on weaker domestic demand. Higher global demand for energy and emerging opportunities for regional cooperation suggest favorable GDP growth prospects. 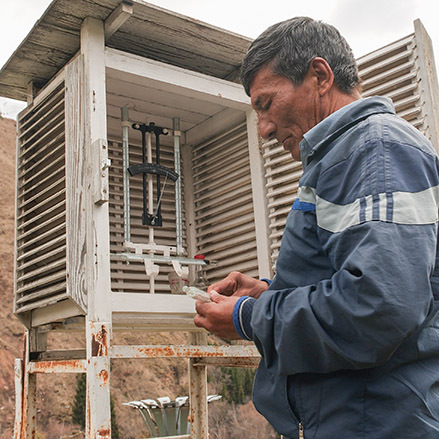 The World Bank is helping Central Asian countries to introduce innovative disaster risk financing mechanisms. From disappearing glaciers to extreme weather events, climate change has many faces in Central Asia. Turkmenistan is located at the center of the Eurasian continent and has been classified as an upper-middle-income country. It borders Kazakhstan, Uzbekistan, Iran, Afghanistan, and, to the west of the country, the Caspian Sea, which offers abundant natural resources of gas and oil deposits. Turkmenistan’s gas reserves are estimated to be the world’s fourth largest, representing about 10% of global reserves. World Bank supported Turkmenistan’s efforts to contain and control the spread of the virus and prepare for a possible outbreak of Avian Influenza in people and animals.